Georgia came to coaching after leaving a career in nursing. She had a world of possibilities in front of her but didn’t know which direction to take. Through our coaching sessions Georgia explored her personal and professional values, her interests and experience, how she wants to work and where. I helped her to create her own framework to weigh up her options for new work or starting a business. Georgia decided to start up a business – called Petit Apparel – selling baby clothes from around the world, in particular the cute baby and toddler clothes from Spain and France. After the coaching programme, I asked Georgia how the coaching supported her in her career change journey. She said: “I feel I did meet my coaching goals. I needed help in finding what I wanted to do next in my career and you helped me work through different ideas. “I needed someone to talk things through with. Simply talking through everything at each session, this helped me sort things mentally and gave me a focus on what to achieve before the next session. “You matched my style and pace well. Our sessions felt like meeting a very knowledgeable and understanding friend for coffee! 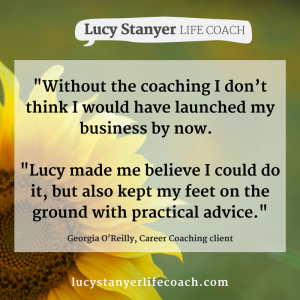 “Without the coaching I don’t think I would have launched my business by now. You made me believe I could do it but also kept my feet on the ground with practical advice. What was the biggest impact from the coaching? “Surprisingly coaching really helped me drill down and realise what I didn’t want, this helped immensely and I think saved me making some mistakes in my decision making. 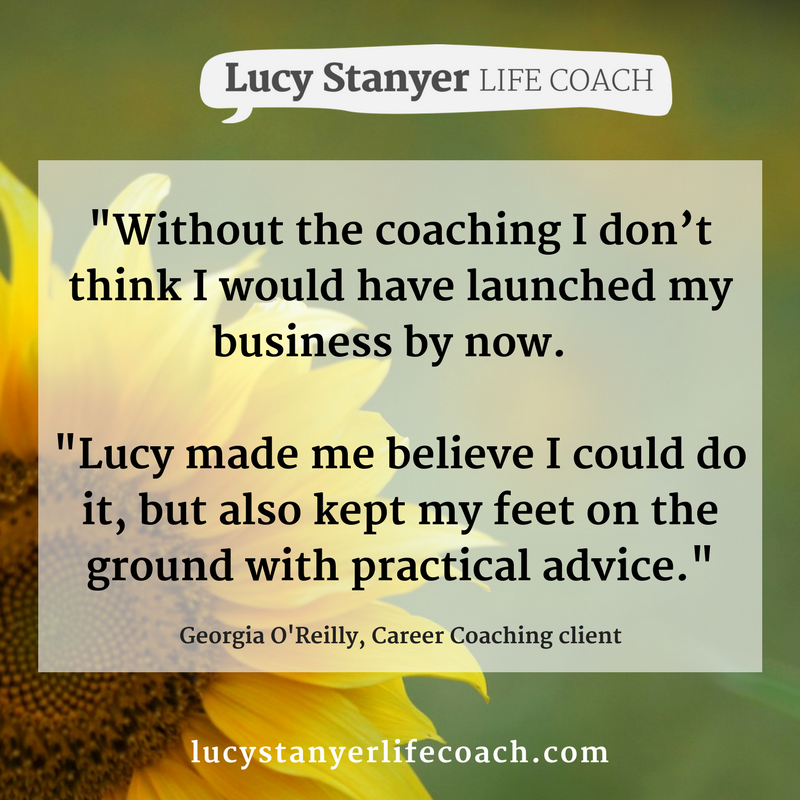 If you’ve been inspired by Georgia’s career change and would like to find out how coaching can help you make a step change in your career or help you with a business start up, then why not book one of my free discovery sessions.